Published on 28. 03. 2016 in comics, current affairs, hype & linkage, journal, music and pictorial arts. Closed Tags: A Tribe Called Quest, Aesop Rock, Easter, Jacopo Bassano, Jen Lee, Michael Deforge, Palmyra, Phife Dawg, Robert Rauschenberg, The Animation Workshop, The Comics Journal, Young Thug. Another week, another several terrorist attacks. Today’s in Lahore was even worse than the one in Brussels a few days ago. They may be low tech and claim fewer dead than other forms of violence, but I don’t know how these actions won’t change our societies quite radically, and mostly for the worse. Here in London we’re increasingly waiting for the other shoe to drop. 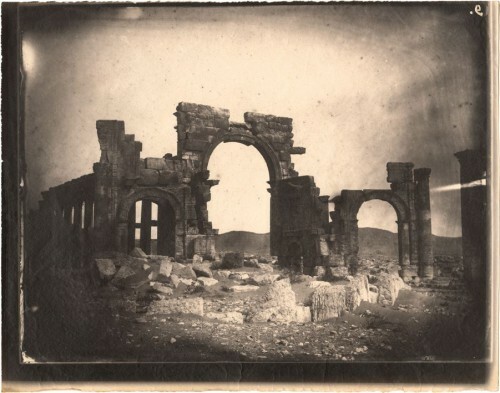 Yet, some of Palmyra still stands. Stations of the Cross, London. At the National Gallery we participated in this psychogeographical art project with Jacopo Bassano’s Way to Calvary representing the seventh station. I found it a rich and rewarding experience not in small part because it encouraged one to explore various forgotten or at least dimly remembered parts of London. Very Iain Sinclair/Alan Moore, in some ways. Clearly, Apollo Magazine agreed. Comics! Jen Lee had a great stint in The Comics Journal‘s diary section. Beautiful. Oh, and the same source delivered a fine interview with growing Wunderkind Michael Deforge. And Nummer9 presented some very promising webcomics work from the current students at the graphic storytelling programme at the Viborg Animation Workshop. New hip hop! Aesop Rock is dope over Pusha-T’s “Untouchable”. Slime Season 3! Bob Rauschenberg. Phife Dawg RIP. A great, underrated MC, part of one of hip hop’s seminal groups, left us this past week. Here’s a great oral history of the creation of A Tribe Called Quest’s second (and in my view narrowly best) album, The Low End Theory. And here’s the long-disbanded group’s last performance, on Jimmy Fallon, with The Roots, last autumn. Published on 21. 07. 2011 in articles and essays, film, tv, video and music. Closed Tags: A Tribe Called Quest, Beats Rhymes and Life, Brooklyn Hip Hop Festival, Michael Rapaport, Q-Tip. I’ve been on a bit of a Tribe quick this last week, culminating Saturday at the Brooklyn Hip Hop Festival, where Q-Tip was the headliner. It was a bravura set by a born performer: Tip’s clear delivery, whether rapping, singing (weakly, but charmingly) or beatboxing, coupled with a tighly-knit band animating the Tribe compositions with live instruments, made for a great show. The icing on the cake was an all-star line-up of guests that included Monie Love (reluctantly performing “Monie in the Middle” before quickly absconding), an on point Sean Penn (not the mopey-faced actor), Black Thought from The Roots (spitting “Love of My Life and “The Next Movement”, tight as always, then backing up Tip on a crazy rendition of “Bonita Applebum”), Busta Rhymes (the crowd went wild when he appeared for “Scenario”, but it quickly turned into call-response; the real fyah was his insane verse from Chris Brown’s “Look at Me Now”) and Kanye West (rapping “Dark Fantasy” down among the crowd, dropping a couple of his pop joints, then acting plug 2 for Tip on “Award Tour”).